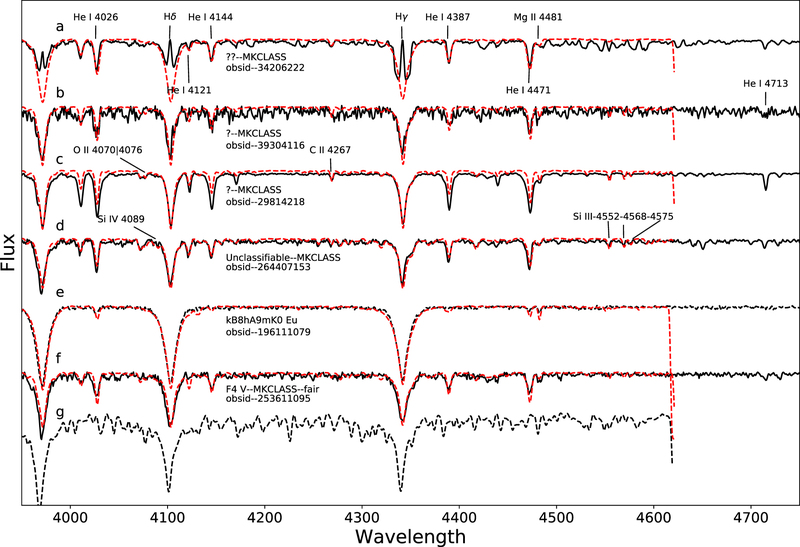 Sample spectra that the MKCLASS assigns question mark labels. The black solid lines represent the observed spectra, and the red dashed lines represent the proper template spectra manually selected from the library lib18, whose resolution have been reduced from 1.8 to 2.8 Å. The spectral types from up to down are B2 V, B2III, B2III, B1III, B8V, and B1 V, respectively. 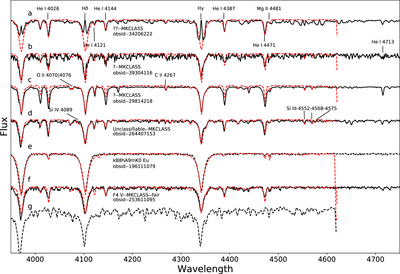 A template spectra with the spectra type of F4 V is provided for comparison (black dashed line).